Vaughn Industries has spent the past four decades working hard to become one of the Midwest’s premier contractors for heating, ventilation, air conditioning, and refrigeration services. Whether you need brand new equipment or a custom maintenance program, Vaughn Industries is here to ensure that your air conditioning or refrigeration system is running at its peak ability. Our HVAC technicians are skilled in installing ductwork, for air-conditioning, ventilation and heating systems. 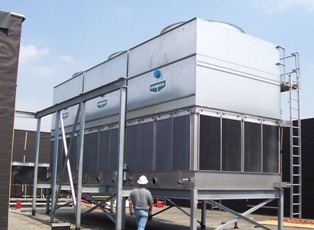 We can install boilers, heat pumps, chilled beams, make up air units, hydronic pumps, and roof top units in all types of industries, including industrial buildings. We also install chilled beams, cooling towers, and dust collection systems to keep debris, dirt and shavings from entering the air. Our technicians are NATE (North American Technician Excellence) &amp; EPA (Environmental Protection Agency) certified, and we are a member of RSES, the leading organization and training authority for HVACR professionals. We provide superior equipment and top-quality service, guaranteeing to meet your expectations and your budget. Because we know that trouble can happen at any time, we also offer emergency services 24 hours a day, seven days a week. Just give us a call, and one of our experienced technicians will stop by to diagnose the problem and begin working on the solution, getting your company back on track as soon as possible. Service technicians are available 24/7 to meet your emergency needs at 1-888-334-9776.